Angela is a Rated member of the PSA and a member of the USFS. She currently holds a Master Rating in Group Instruction, Certified Rating in Freestyle, Master Rating in Moves in the Field and a Master Program Director Rating. She is a Ratings Examiner with the Professional Skaters Association and is the current Area 5 Representative. Angela is a Gold Medalist in Moves in the Field. She has coached regional competitors and medalists, World Special Olympic Medalists, is the coach of the 2016 Collegiate Nationals Senior Ladies Bronze medalist, as well as coached skaters through Gold Moves in the Field and Freestyle. Angela brings over 20 years coaching experience in basic skills, moves in the field, freestyle, choreography, off-ice training/jumping, and power skating. Amanda Dailey-DiPetrillo – Amanda is a member of the PSA and USFS. She holds a Registered Rating in Group Instruction and Synchronized Skating. Amanda has 9 year experience in group instruction and 16 years experience in Synchronized Team instruction. Amanda has 16 years experience as United States National and International Synchronized Skating competitor and is currently competing with the University of Delaware FSC’s Team Delaware in the Masters division. It is her mission to provide professional skating instruction to skaters of various ages and ability levels in a welcoming and safe environment where they can develop their interest in skating. She believes that it is very important to give beginner skaters a strong foundation to build on through mastery of foundational skills in preparation for higher levels of skating in any discipline. Trisha Hessinger – Trisha began skating at age 2 with the Penguins Figure Skating Club. She is a PSA Master Rated Coach in Moves in the Field, and is also rated in Figures, Dance and Freestyle. She and partner CG Lee were the 2013 Adult International Ice Dance Champions in Oberstdorf, Germany, as well as the National Champions that year. Trisha has also won 3 Adult National Artistic Events. She is a USFS Quadruple Gold Test Medalist in Figures, Moves, Dance and Free Dance. She has over 35 years of coaching experience taking competitors to podium finishes at South Atlantics, JR Nationals and Adult Nationals. Under Hessinger’s guidance, students have attained over 36 Gold Medals in USFSA Testing in Figures, Freestyle, Dance, Moves and Solo Dance. Trisha is also an automotive consultant, a Regional Equestrian Champion and coach in the discipline of dressage, and has an extensive background in motor racing and was a pace car driver for the Indy Car Series for 20 years. Laura Hudson – Laura is a member of the PSA and the USFS. She has been coaching for over ten years and has been a professional show skater for the past 7 years. Laura is a Gold medalist in Dance and Moves in the Field. She has also earned her Silver medal in freestyle and passed her Juvenile pairs test. She has a Bachelor of Arts degree in Psychology and an Associates degree in Liberal Arts. Her favorite quote is, “If you can dream it, you can do it” (Walt Disney). Laura’s enthusiasm for coaching is driven by her belief that skating is ageless. Laura was drawn to the sport at the age of 9; she has loved every moment of her skating journey and hopes to share that passion with her students so that they may discover their own appreciation for the sport. Lindsay Mazzeo – Lindsay is a graduate from Moravian College with a BA in Psychology and currently pursuing a Master of Science degree in Clinical and Counseling Psychology with a concentration in Trauma studies from Chestnut Hill College. She is a member of PSA and USFS. She is a gold medalist in Moves in the Field and passed her Junior Freestyle test. She has 10 years of coaching experience with Basic Skills, Figure Skating, Moves in the Field, power skating for Hockey and off-ice training. She enjoys working with all ages and abilites. Val Nauroth – Val is a seasoned professional of 40 years, specializing in technique. She has coached gold medalists in figures, moves in the field, and freestyle, as well as having coached competitors at the regional, sectional, national, and international level. After performing in the Ice Follies for a year, she began her coaching career at the Ice Palace. Val is on the faculty of the Arts Academy Charter School for the Arts where she teaches classes in technique, performance and off ice conditioning. She is also a member of the PSA and USFS. She has had students go on to skate in international ice shows and some of her former students are now coaches. Val particularly enjoys teaching jump technique. Natalya Ponomareva – Natasha is a member of the USFS and PSA and brings 16 years or coaching experience. Natasha has coached skaters through Gold Freestyle, Moves in the Field and Pairs as well as coaching skaters at the Junior National and Sectional Level. During her skating career she was fortunate to have participated at the World Championships and the 2002 Olympics in pairs as representative of Uzbekistan. She enjoys teaching skaters of all ages in freestyle, choreography, pairs, moves in the field and stroking. Rebecca Schapell – Rebecca is a PSA and USFS Figure Skating Member. She has been coaching for 13 years and has competed on University of Delaware Intercollegiate Figure Skating Team. She is also the current Membership Chair of the Penguin Figure Skating Club. Rebecca loves to coach students of all ages and abilities. Evgeniy Sviridov – Evgeniy is a member of USA Hockey, USFS and PSA and brings 19 years or coaching experience. He has coached skaters through Gold Freestyle, Moves in the Field and Pairs as well as coaching skaters at the Junior National and Sectional Level. During his skating career she was fortunate to have participated at the World Championships and the 2002 Olympics in pairs as representative of Uzbekistan. Evgeniy enjoys teaching skaters of all ages in freestyle, pairs, moves in the field, dance spins, power skating for hockey and hockey skills. Janet Tremer – Janet is a member of the PSA and USFS. She has a Level VI Ranking with the PSA as well as holds several ratings Master Program Director, Master Group Instruction, Senior Figures and Freestyle, Senior Moves in the Field, Certified Dance and Registered Choreography. Janet has coached skaters from Basic Skills through US Figure Skating Gold Tests and has coached skaters at the 2002 Olympics as well as skaters at the National, International and World level. 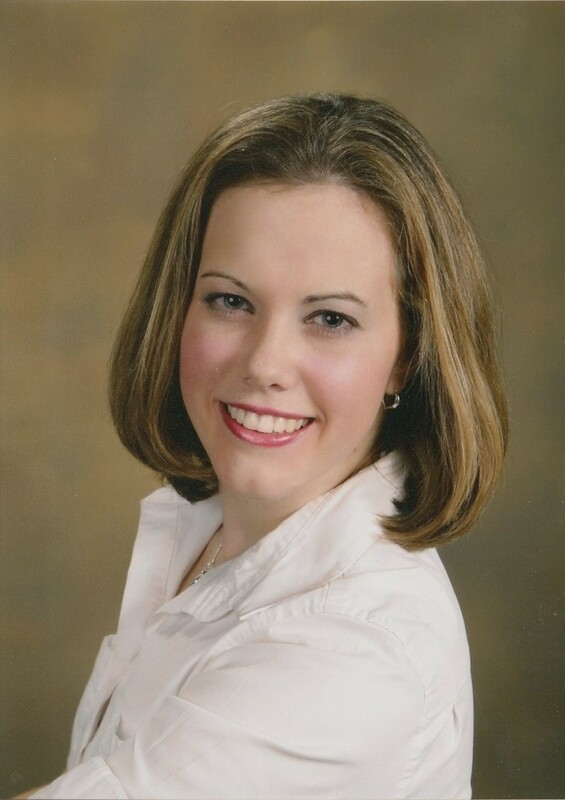 She is a current PSA Ratings Examiner and Mentor, serves on National committees for US Figure Skating Basic Skills and PSA Foundations of Coaching Course. In addition to coaching skating Janet is also a speaker at PSA Workshops, Seminars and Conferences as well as at US Figure Skating Basic Skills Workshops. Janet enjoys teaching all aspects of skating including Basic Skills, freestyle, moves in the field, dance and hockey skating skills. Laura Wetzel – Laura Wetzel, 26, is a member of the PSA and a USFS Triple Gold Medalist in Freeskating, Ice Dance, and Moves-In-The-Field. Laura competed at the 2009 South Atlantic Regional Competition and was an alternate for the 2005 U.S. Eastern Sectional Championships. She also competed at the 2002 and 2003 U.S. Junior National Figure Skating Championships in Ice Dancing. Laura has been skating competitively for 18 years and has competed at nine Regional competitions. She graduated from DeSales University with a Bachelor’s in Biology and a Bachelor’s Nursing. Currently, she also works as a Registered Nurse in Labor & Delivery. Laura has been coaching figure skaters and hockey players of all levels for 10 years. Connie Williams – Connie is a member of the PSA and the USFS. She has coached Gold medalists in Freestyle, Moves in the Field, and Dance. Connie has coached skaters at the Regional, Sectional, National, and Junior National level. She brings over 30 years of Professional experience with her. She skated with the Ice Follies and Holiday on Ice. Connie enjoys teaching all ages and abilities.